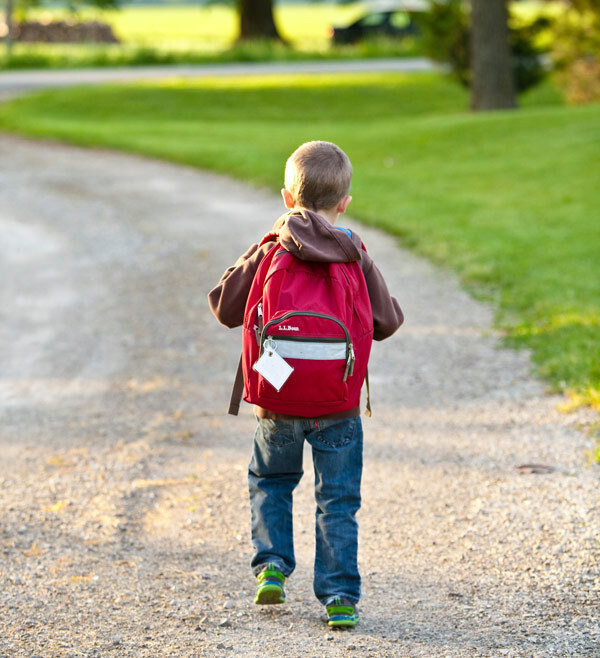 Going to school for the first time or moving school may seem a minor event to adults, but it can be a very stressful time for kids. Many children become scared of the unknown and aren’t sure what to expect. However, there are steps you can make to ensure your children are happy and transition into the new school smoothly. We’ve listed some of our top tips to help your kids be less anxious and enjoy joining school without any worry. Communication is key here, don’t ignore your child if they show concerns. Instead, ask them what’s wrong. They could be worried about not making any friends, not being able to do work, being away from their parents, or just the fear of the unknown. Try talking to your child and find out what’s wrong. Once you know what the problem is you can help them by showing them you understand and explaining that they will be ok.
Involving your children in the decision making process will give them confidence and let them feel they are choosing to go to school rather than it being something that is forced on them against their will. When you go and buy clothes and equipment for school, take them with you and let them pick whatever their favorite items are. If they want certain stationary that’s their favorite color, or a pair of shoes, then giving it to them will help them look forward to their first day as they get to use the items that they chose. Another idea is letting them choose what’s in their lunchbox or what they have for breakfast before they go to school. Think about your children’s interests and how the school environment can help develop that interest and give them something to look forward to. If you can replace anxiety with excitement then your child will be much happier. For example, if your child loves playing outdoors, emphasise how big the field is for them to run around on. If they’re interested in reading you can explain how there will be lots more books to discover. Enquire with the school about extra curricular activities and ask your child if they would enjoy any of them. When children are young and learning about the world, they are constantly overcoming obstacles and entering new environments. Little things such as going to a relatives house that they haven’t been to before could have been a big deal to them, and they may have gone and made a friend and had a good time. Remind them of something that happened in the past and how they were ok. Some children struggle with anxiety over the unknown, if you feel that your child is worrying about this, try giving them some early exposure to the school environment to help reduce their concerns. One simple way of doing this is by driving or walking past the school with your children and showing it to them. If there’s an opportunity to view inside the school it would be worth taking your kid along to it. If not, you can always ring up the school and ask if you can have a tour of the school with your children. Try and visit as many areas as possible to help familiarize your children and let them understand their new environment. This could help as they might have had a fear of getting lost or not knowing where different rooms are. You can also show them the journey to school, if you’re walking or driving you can show them the journey you’ll be taking. Joining a new school can be a daunting time for any child, but follow these steps and you’ll be able to help give them the best start in life possible and enjoy starting at school.